The federal government shelled out $3 billion in cash-for-clunker incentives, leading to 300,000 sales that wouldn't have happened. The program also produced lots of clunkers, including one that a Virginia dealer dumped into a trash bin. In a year of turmoil and profound change, one news story stood out: the Chapter 11 filings of General Motors and Chrysler. The federal government whisked the crippled automakers through U.S. Bankruptcy Court. Now they, along with thousands of employees, suppliers and dealerships, are rebuilding their operations. The Chapter 11 filings were chosen as the top news story of 2009 in the 57th annual Automotive News staff poll. Here's a recap of the staff's choices of the year's top 10 stories. After decades of faulty decisions -- and a nasty recession -- Chrysler and General Motors collapsed into Chapter 11 bankruptcy protection from creditors. Thanks to ample tax money, the two automakers were spared long, crippling journeys in Bankruptcy Court. But more than 2,000 dealerships are losing their franchises. Executive pensions were canceled. Hourly wages and benefits were slashed. Debt holders lost billions. So now GM and Chrysler have a second chance -- but probably not a third. The Obama administration says no more bailout money for automakers. Chrysler gave Sergio Marchionne plenty to ponder this year. Chrysler needed more than U.S. bailout money to survive. It needed a strong foreign partner to provide management and small-vehicle engines and platforms. Fiat S.p.A., seeking operations in North America, stepped up with all three. 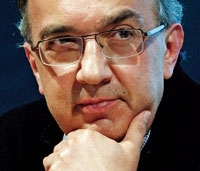 Mastermind Sergio Marchionne, now CEO of both companies, drove a hard bargain: He provided no extra cash, just Fiat technology and management expertise. But without Fiat, the Obama administration probably would have liquidated the company or forced a merger with GM. Dealers who wouldn't let GM and Chrysler toss them on the scrap heap turned to Washington for intervention. 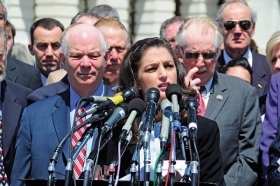 Their leaders included dealer Tammy Darvish. Chrysler rejected 789 dealers in Chapter 11, and GM tagged 1,350 dealerships to close. The automakers insisted that remaining dealers sign new franchise agreements giving up many rights protected by state laws. But three dealers who lost franchises -- Tammy Darvish, Jack Fitzgerald and Alan Spitzer -- formed the Committee to Restore Dealer Rights. They backed legislation that would restore rejected dealerships. The bill passed the House but stalled in the Senate, leading to negotiations with GM and Chrysler for a nonlegislative settlement. In December, the automakers abandoned the talks. So, after six months of lobbying by the committee and other dealer groups, Congress passed a bill that should allow some dealers to regain their stores through binding arbitration. The federal government's $3 billion cash-for-clunkers program sought to stimulate auto sales during the economic slump and increase the fuel economy of the fleet on U.S. roads. It offered consumers cash rebates of $3,500 and $4,500 if they swapped gas guzzlers for new, more fuel-efficient cars and light trucks. The program was unexpectedly popular, reaching its budgetary limit in just one month. Staffing shortages at the National Highway Traffic Safety Administration and processing bottlenecks forced many dealers to wait months for reimbursements that were due in 10 days. 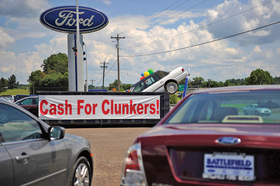 But cash for clunkers was a success, adding 300,000 sales that would not have happened without the program. The U.S. market fell to pieces in 2009, collapsing to about 10.3 million light vehicles. That's down nearly a quarter from 2008 and more than a third lower than 2007. In fact, it's the lowest yearly sales level since 1982. The seasonally adjusted selling rate was a meager 9.5 million in the first half. But sales improved modestly in the second half, buoyed by the July-August cash-for-clunkers program. 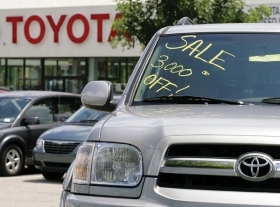 For much of the year, U.S. sales plunged for Toyota, taking North American production with it. Oh, what a terrific decade for Toyota Motor Corp., which became the world's No. 1 automaker and the top-selling brand in the United States. But the juggernaut was humbled in 2009. U.S. sales plunged and North American production was curtailed. The company mothballed plans to build Prius hybrids in Tupelo, Miss., and announced it would close New United Motor Manufacturing Inc., its former joint venture with GM, in 2010. With the company reeling, Akio Toyoda replaced Katsuaki Watanabe as president. Toyoda, the grandson of the founder, brought former Toyota Motor Sales U.S.A. chief Yoshi Inaba out of retirement and dispatched him to the United States to make things right. Inaba immediately faced a crisis: a series of safety-related recalls and shocking accusations of cover-ups. The hot-selling Fusion has helped Ford put its best face forward. 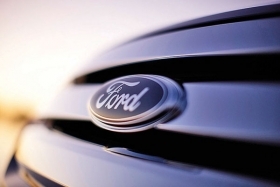 By avoiding Bankruptcy Court in 2009, Ford reaped a public relations bonanza. While the government spent billions to prop up its two domestic competitors, Ford was seen as competent and savvy. Moreover, in the third quarter Ford reported its first pretax operating profit -- $1.1 billion -- since the first quarter of 2008. And the company's products are gaining traction. For instance, Ford reskinned the Fusion for 2010 and added a hybrid. Through November, Fusion sales rose 18 percent. Given its massive borrowings -- third-quarter automotive debt totaled $26.9 billion -- the automaker is not out of the woods. But CEO Alan Mulally's recovery is real. CEO of General Motors. For decades the job was the pinnacle of American business, and the people who held it stayed in place for years. Not anymore. In March, Steve Rattner, an appointee of the U.S. government, asked CEO Rick Wagoner to resign. In December, Ed Whitacre, the government-appointed chairman of GM, pushed out Wagoner's successor, Fritz Henderson. The board appointed Whitacre as interim CEO. He immediately shuffled top management. Clearly, GM culture and lifers are out of favor. But it's far from clear who or what will replace them. Political pressure for higher fuel economy standards for U.S. vehicles had been building for years. The $4-per-gallon gasoline of 2008 gave the new Obama administration the impetus it needed. Corporate average fuel economy was pegged at 35.5 mpg for the 2016 model year. In 2009, the U.S. fleet averaged 25.3 mpg. To meet the target, V-8s will be limited. Vehicles will lose weight. Pressure to cut costs will escalate as automakers add fuel-saving equipment, such as turbochargers and hybrid powertrains. A key question will be whether automakers can persuade U.S. drivers -- who have long equated small with cheap -- to pay extra for small, high-mileage cars. As if the credit crisis and the reluctance of banks to lend money weren't bad enough. When the Obama administration automotive task force appointed GMAC Financial Services to replace Chrysler Financial as the finance arm of choice for Chrysler dealers, a number of Chrysler's dealers found themselves between a rock and a hard place. Those who had borrowed multimillion-dollar sums from Chrysler Financial to pay for store improvements and new real estate couldn't transition their floorplans to GMAC without first paying off Chrysler Financial. That meant some stores, which had avoided losing their franchises last spring, ended up having to close anyway because they couldn't find other finance sources.